Subhash Ghai's Taal and I have a complicated relationship. Part of me loves it, just absolutely loves it, and part of me has become wary of it after reading analysis by Filmi Geek and Philip's Filums and then considering it on my own in the cold light of...um...having finished rewatching it and therefore not, at this very moment, basking in its glow of relentless beauty and razzle-dazzle. In a handy convergence of media consumption, my recent preparing-for-a-trip-to-London-to-see-David-Tennant-as-Hamlet-at-the-RSC viewing of "The Fires of Pompeii" episode of Doctor Who has provided me a new system for sorting out my reactions. If your eyes are glazing over at the mention of Doctor Who - as mine used to do until recently, despite evangelistic* efforts by many friends over the years (somehow I've only grown to love Doctor Who** since falling for Bollywood, but that's another post entirely) - please hang on: this will only take a second, and I promise to outline a relevant idea. In the story, the time-traveling alien Doctor and his human companion, Donna, show up at Pompeii the day before the eruption of 79. This is Donna's first trip through time, and she is distraught when the Doctor tells her they can't save the inhabitants of Pompeii from the disaster they know is about to happen. She pleads, pointing out that he's saved the world in their previous adventures. He admits that this is true but then explains that some history is fixed and some is in flux - and the destruction of Pompeii by Vesuvius is, unfortuantely, fixed. (If you want to know more, here are episode information, analysis, and quotes.) This becomes a really nifty idea if we expand it beyond the rare ability to alter a past we know to have happened a certain way to our very real, very personal-level ability to revisit our thoughts and impressions. We can't change the past, but we can change how we think about it. We can't change our contemporary reactions, but we can combine them with subsequent experiences and information to create new understanding. Anyway. Some aspects of how I react to Taal are fixed because they're tied to a very meaningful experience with the film, and others are in flux, changing with ongoing synthesis of what I have learned and thought about since that initial experience. The fact that I can even raise this point probably says something good about the film: it has enough interesting and thought-provoking elements in it to invite revisiting and to feed a discussion years after I first saw it. Taal was one of the very first Hindi films I saw, and I was lucky enough to see it with a packed audience at a restored historic theater a few minutes' drive from my house. Local boy Roger Ebert included it in his Overlooked Film Festival in 2005 (his review/program notes here), and present for the panel discussion afterward was...Subhash Ghai. There's really nothing that could have made this a better experience, and I was completely overwhelmed by the visual beauty and music of the film. Watching it in that setting - and with my brand-new eyes - was like spending a few hours in the hot summer sun - beautiful, indulgent, and life-giving but likely to make you feel a bit stunned after. Or, to put it more cynically, this is a fantastically unsubtle movie, and it's quite possible that Ghai (and maybe A. R. Rahman) conked me with a sledgehammer while I was in the theater and I couldn't think clearly after that. Either way, I was in love with it from its opening scene, the heroine's modern-dance musical dream. 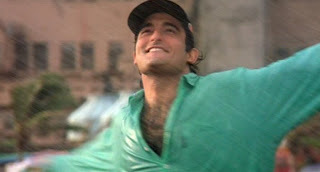 And yes, the Akshaye factor had begun (this was the first of his movies I saw). I thought he was cute, but I was also enamored of a male lead who dances. We don't get much of that in mainstream American cinema. Also, it had scenes of my former stomping ground, Toronto and other bits of southwestern Ontario. The joy I felt watching this movie is absolutely fixed, and I admit that every time I watch it I can look straight past the movie's shortcomings and just glow happily in my memories of seeing it for the first time. Probably dozens of other films would have made me feel the same way, especially in the film festival atmosphere with an involved, appreciative audience and a panel discussion with one of my favorite film critics and the director of the movie! There may not be anything particularly special about Taal - and I've since seen many movies that are more spectacular, beautiful, charming, and substantial - but the film will always be special to me. 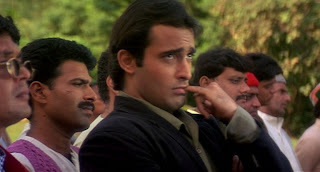 and major portions of the personality of Akshaye's Manav, the stalker-y, arrogant romantic lead. The dominance of the male gaze. There is a scene later of Anil Kapoor filming her too. These are the kinds of things I tend to notice and get worked up about - so why didn't I see them the first time I watched the movie, before I had become familiar with these particular Bollywood tropes? I was that dazzled, I guess. And quite possibly put the movie on a pedestal, a status which the flux thoughts are helping to fix. When I read Prof. Lutgendorf's review, I kept nodding, thinking "Yep, those are completely fair criticisms, that analysis makes sense," yet none of them had struck me - and even knowing them as I re-watched, even with the evidence right in front of me, very few leaped to mind. Poor Mansi. She has an interesting story arc, what with her huge fame and new life and their accompanying moral dilemmas, but nothing is made of these potential challenges and opportunities for character development. As Filmi Geek points out, her musical stardom seems to be included just as an excuse to situate the big song picturizations, and nothing more is done with it, even though clearly such a life event would really affect the character. Even her love life is presented without nuance: sure, she can choose between two guys, but they're pretty much the same guy. Should she pick the rich, musical, pushy, frank, bad-hair guy who offended her father, who might be slightly more earnest and is definitely more age-appropriate, or the rich, musical, pushy, frank, bad-jewelry guy who stole from her father (one-man music industry Vikrant, played by Anil Kapoor), who is sort of sweet in his own authority-figure, megalomaniacal way (but only sort of)? Either option comes with a fur coat. Oh, Manav. On one hand, he utterly fails to comprehend the basic life lesson "no means no" and sometime he's the tiresome moody-broody sort. But on the other, his matter-of-factness about his love can be cute, like in his request for yoga lessons and the adorable copycat flirting scene. One of the things I enjoyed about Manav initially is that he's eager to be with his family and to explore his new home. He sees India through newbie tourist eyes just like I was doing - and using him as a lens, the story indulges in some cheesy but satisfying shots of colorful markets, convivial crowded trains, folk art, etc. who are, of course, part of a vaguely-sketched corporate world. The dichotomy of these two stereotyped kinds of Indian characters is completely predictable, but I like that the script sets up both groups as capable of snobbery and hypocrisy - and of learning, changing, and reconciling. Both families also have mediators (who are women, interestingly) who try to help the young'uns navigate their complicated situations. 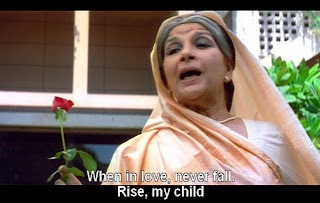 Mansi's aunt lives in the city and knows something about the media industry, and Manav's grandmother encourages him to stay true to his feelings (and gives us the movie's tagline). 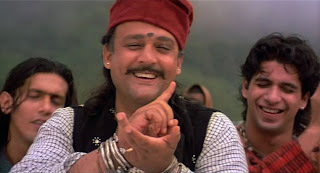 The way Taal shows India and Indian culture has, thankfully, and as is only reasonable, fallen into my flux category. I certainly never thought Taal was documentary on most points, but I don't remember bothering to analyze its portrayals of traditional vs. modern or romanticized "India is alive with color!" very hard, either. Taal is not unique in trading in these elements, but now I understand a lot more about what Ghai was up to in using them. There is a lot of visual cheese in this movie that I am still moved by, even though I realize it's cheesy. Stunning mountaintops! Melancholy boy and friends dance through the city streets in a windstorm! He also rollerblades contemplatively. 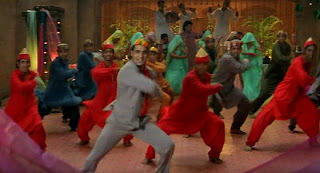 "Nahin Saamne" is super sappy (in a good way), but for a split second Akshaye looks straight at the camera with his classic half-smile and then he and the backup dancers sweep into - and hold - a balletic, ridiculously heroic, almost statue-like pose as the wind rages. I read this as tongue-in-cheek (by the actor or by the character? I don't know! ); that's probably not how it was meant, but sometimes I like a little pepper in my syrup. 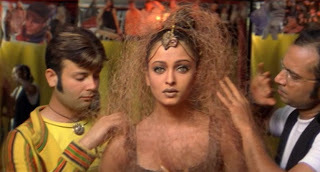 I am firmly in the "Aishwarya is the most beautiful woman in the world" camp and could watch this movie a dozen more times just to look at her in Mansi's staggering array of crazy stage costumes. I love the glamazon outfits, but I actually thought she was prettiest while frolicking with her friends in the rain in the equally lovely title song. Maybe I feel about Taal like Mansi feels about Manav: its early impression is the one that remains, and I still love it, even though I know better. The important thing is that I'm still thinking about it and can still love the parts of it that I know to be worth loving. You can't watch a movie five times in the last few years without collecting some details, can you? At Mansi's MTV party, we see a sign for the event organizer. Post-Clinton, I find this funny, even though the spelling is different. At that same party, and then later at an airport, there's a guy in a Philadelphia Flyers jersey. I like to think this is included as an unspoken joke about Askhaye's "hockey hair," as my Canadian friends call a mullet. so you'd think someone would have made sure Manav had the right brand in hand at the MTV party. Vikrant's studio/rehearsal space is design hodge-podge, but I'm especially fond of his huge mural of himslef with a baton and the music-symbol-printed dance floor. * I assume many people have worked on the Doctor-as-Jesus idea, but I'm not going to look it up for a fear of a tidal wave of script(ural) analysis that I couldn't begin to process. ** Someone will ask, so: Eccleston. hye there Bethmy name is Saiyidah Izzati Nur and im from Malaysia.I got to know about your blog is because Im also a huge fan of Filmfare magazine so last issue I read about this blog.Just want to say I really admire the way you are expressing whether its the synopsis,opinion or thoughts about each movie.Just wondering from where did you get inspiration to write endlessly?BTW,im a HUGE SHAHRUKH KHAN&KAJOL&KARAN JOHAR FAN!my blog may not as interesting as yours because just my my POV on this tiny world of mine!Take care.. 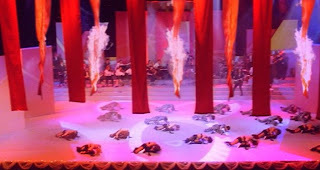 The main element of the movie was clearly the music. Rehman did stupendous job. And to match with that, Shiamak's fabulous choreography and Kabir Lal's picturesque cinematography. All these elements made a good flick out of a normal bollywood story. Beth I too have a soft spot for Taal since it is one of the first BW movies I viewed. The movie is cheesy but has the most beautiful music (became an AR Rahman fan)and choreography (even with some ugly customes). The cinematography in the mountains is gorgeous too and Aishwarya looked stunning both as the simple country girl and singing star. Taal is memorable for those reasons. Beth, a terrific post on how circumstances can affect our judgment of a film. I find that watching a movie in your living room increases your critical detachment from it. Movies--especially Bollywood movies--were meant to be seen in a theater. The small screen diminishes a film's impact and can really emphasize its flaws. Despite its problematic aspects, at least Taal has a great AR Rahman score, striking choreography, and The Most Beautiful Woman in the World. Early in our SRK infatuation we watched English Babu Desi Mem, and apart from the first 20 minutes or so, enjoyed it just fine. I recently re-watched it and found it to be painfully, gruesomely, hideously bad. What were we thinking? Hey you're going to my desh(london) yaaaayyy, have fun there! I kinda liked taal and you probably know that its coz My ANIL is there! But looking back as a half-serious journo, i see all the issues you've raised, and that anglicized aunty always is a cow in any movie she's in! I love the baby Shahid so lanky and lean and teenagery, lol if i saw him when i was 9 then he'd be up on my wall! lol i like bulky shahid,and i loved Akshay here, especially the hair, which he used to havE! Omg- the 3rd pic from top- is that a GUY wearing a teal colored cropped top with bicycle shorts??? oh dear. Saiyidah - Hi! Thank you for coming by and for your kind words! :) As for writing endlessly, I think it just comes naturally - after so much university and a love of reading and research, it's hard to stop :) I'm sure I could use an editor (or ten). Darshit - Yep! I had heard he was in this and made sure I found him. Totally agree re: music, dance, and cinematography. I should look for other films with Lal's work. Memsaab - You chose wisely, even if I might disagree with some of your rationale. Anonymous - Was it! How did you happen upon it early on? Taal really is much stronger for the eyes and ears than for the brain, sadly. I saw EBDM too and don't remember it one little bit. Some things are best left in the past - but if we recall them as good (or even just enjoyable), how can our memory be trusted? Bah! I am cautiously optimistic about London - even if David Tennant is injured, Patrick Stewart is there, and I'd have high hopes for any RSC production whether or not I'd heard of any of the players. There are two other Mystery Projects afoot and causing some nervousness (but I'm always nervous about something) and if they go well, fingers crossed, there will be much for me to write about when I'm back. And I recently found a list of London's 50 most overlooked museums and of course want to go to all of them. Rum - Yaaaay! And wow, there's really a lot for you in Taal, isn't there! Shweta - I do believe so. The aerobics-class/Saved by the Bell look of the dancers is a hoot - have you noticed how often they're wearing knee pads? I think of Taal as a mild spike in the long decline of Subhash Ghai. Somewhere in B'lore is a group of women who're yet to forgive me and my best friend for dragging them to watch this movie in the theatre. Otoh, this is the movie that finally convinced me that it wasn't a good idea to keep going to the movies coz "Ash looks so pwetty". Sigh. But after Dil Se, this is one of Rahman's best works. Also, I laugh at you for the Doc Who addiction. I laugh! Ha ha! He will not be denied! Your puny will is no match for his time traveling, body changing, phone booth fabulosity. One of the biggest regrets in my life is buying a cassette of 'Taal'. It got ruined by playing it so much in the car. And now just can't find a CD to replace it. The music and dance numbers are really fun. And I love the colours. But I always hated the men in the film. 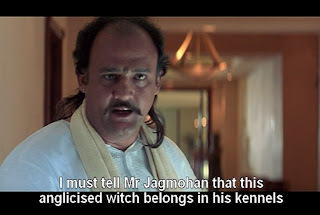 But then, I disapprove of most men in Hindi films. Always have. And always wonder why such gorgeous women must fall in love with such idiots. Aaaahhhh, look at mah baby! Shahiiiid! Over here, little man-child! Okay, now that I've finished cracking myself up (it's 2 a.m., forgive me), I have to admit that I have never seen this movie but have watched all the songs multiple times on YouTube. 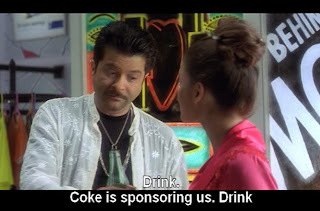 However, it is referenced in that book Asian Cinema as an example of Bollywood's subtle eroticism, citing the sharing of the Coke scene, and so I've kept on wanting to watch it for that reason. Amrita - I haven't learned that lesson yet. Shaaaame on me. 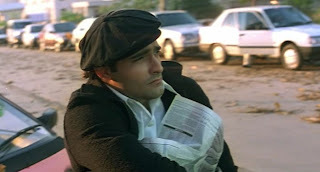 I haven't even learned it for Akshaye, and the man picks some terrible movies! You should laugh. You should also laugh at how I bought glittery Chuck Taylors on a whim because some little voice in my head told me it's important to have appropriate footwear when invited to a party in the Tarids. 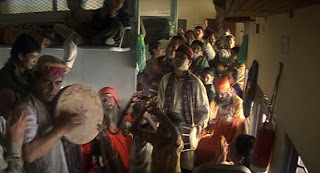 I really enjoyed Taal, although as others have noted, the music was a bigger winner overall. Ash in 'Ishq Bina' was brilliant! She was also part of some really cool Coke commercials around that time. 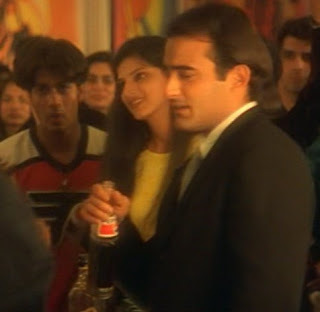 I'm with Memsaab on Akshaye Khanna (He's SO SMUG!!!) and that I really didn't like this movie. Still - Baby Shahid is too cute! And I love(d) Anil's OTT character. 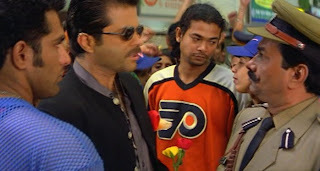 As much as I hate to admit it, I'm often more than willing to buy movies like Taal because of Anil Kapoor, pretty costumes, and an awesome soundtrack. I think that makes me a bad reviewer and an even more reprehensible person. Bollywoodfan - I'll have to dig up the commercials - sounds fun. Filmi Girl - I'd rank this particular character in the middle of his work, appeal-wise. Did Anil's character not strike you as smug? I thought he was such a jackass - if enjoyably OTT, of course. Wow..comprehensive...Used to visit here through Obi Wan's blog a couple of years ago. Happenned upon the latest issue of Filmfare and jumoed at the mention of your blog - with pictures to boot! Woo Hoo! As for Taal, unfortunately falls into Pardes territory for me - Horrible movie with lovely songs! Rahman did a great job on this. My only plus on this movie is that Aish still was chubby (somewhat) - makes her look more attractive to me. I started Pardes once but couldn't finish it and since then have have not heard anything that made me think I should try again. But I'll try the songs for sure. Wow, I can't believe that all these years I never noticed that Shahid Kapoor was in this. Sadly I think it may have been his best role to date. 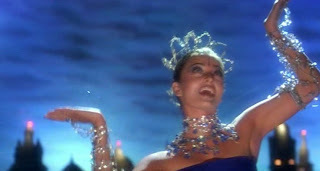 My feelings with Taal have always been mixed b/c it was the first Ash movie I ever saw, and consequently the beginning of my loathing of her, but the girl is pretty and can dance. Ditto all the comments about the music; this film is worth seeing just for the music (some of Rahman's best along with Dil Se). P.S. Where is the Rab Ne Bana Di Jodi review? The Shashi dance parody is classic. 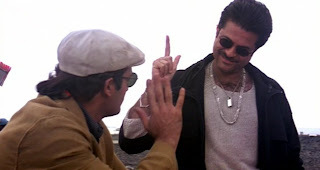 Pretty much the only salvageable thing about Taal for me was Anil Kapoor's deliciously over-the-top performance. He had so much fun with that role, it almost made me forgive all the silly seriousness around him. Almost. I did like that exchange right at the end where he says, "Manav is beating me right now. And if you want to help me win, you'd ditch me and go to him." My guess is, Subhash Ghai was watching a DVD of Raj Kapoor's Anari and "was inspired by" Motilal's courtroom dialogue right at the end. When the award season came I couldn't figure out why hum dil de chuke sanam kept beating taal. I just thought taal was different with better storytelling. The story tends to veer off into bits of cheese and the hero's character isn't well defined for people [obviously we're crap at accepting a suitably subtle performance]. The conflict/resolution are a bit soft [again the subtlety of it is lost] and there's too many old world clunky views bunched around.. Still think its pretty to look at, though the climax was dead-on blah, visually.. And those songs are just gorgeous.. 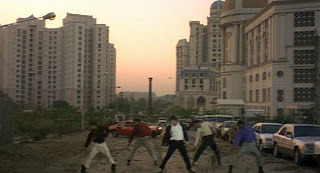 I spent that year dancing on them ,a lot..
Ah and pardes... I wasn't very old when I watched it and my favorite part was shahrukh getting beaten up and the drama in the climax..oddly satisfying.. I also thought the leading lady was ever so pretty... very weird because I never even noticed that Ash was pretty or anyone else for that matter.. Mahima Chaudry has that dubious honor..Lol! I've never heard of this,but it seems like something worth a watch--ahh, I still have that "Bollywood Newbie" penchant for the beauty in the scenery, the music...and Ash! So does this mean I need to leave the VHS tape of Pardes (gifted to me by my stepmother-haven't seen yet)which is sitting under a pile of boots, purses and shoes in my closet right where it is and not even attempt to watch? This is really funny "Drink, coke is sponsoring us". I know I'm rather late to this party, but, Taal is eternal. I agree almost completely with where you're coming from , down to the seeing it in Urbana that same showing (the crowd was really into it) but I had seen it first on DVD about two years before (it was one of my first three with Lagaan and DCH) and as such will always be special to me. Hence the over fifteen hour drive to get to see it on a big screen! Yeesh! Secretly I was hoping Akshaye would show up. No such luck. 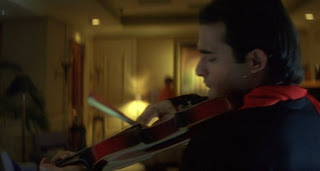 It was great on a big screen, and the visuals and the music will always take over when my brain wants to pick on things like Anil's stupid cuckoo call, and Akshaye pulling that dog around everywhere. There is such a thing as tooooo manipulative, Mr. Ghai. And get yourself out of your films! You're not Alfred Hitchcock, no one cares to see you. I also want to commend your taste in Doctors, Beth. I do envy your trip to see David in Hamlet. I've been trying to dig up the money to see him this summer with Catherine doing Much Ado. But to no avail. Maybe it will be on DVD, too. Jenny - So funny that we were at the same showing! OMG imagine if Akshaye had been there! I would be eternally resentful, since I didn't know at the time how awesome that would have been and would just sit around stewing about it now. This is the only Subhash Ghai film that I really like, though I haven't seen many. It just has SO MUCH in it! Like the cuckoo call, which I just remembered as I read it in your comment. It was FANTASTIC to see David Tennant in Hamlet! I went with Filmi Girl and we had a blast! We were so relieved that he recovered from his injury in time to be back on the stage when we were there. Aaah ... 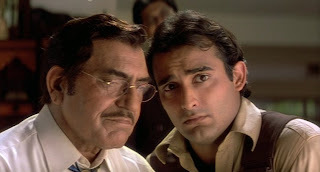 I am really missing Subhash Ghai kind of movies these days. Mr Ghai gave another try with the movie Kaanchi but unfortunately this was also a flop. If Mr Ghai can manage to get Shahid and Kareena together again than this will be quite amazing for the bollywood lover.